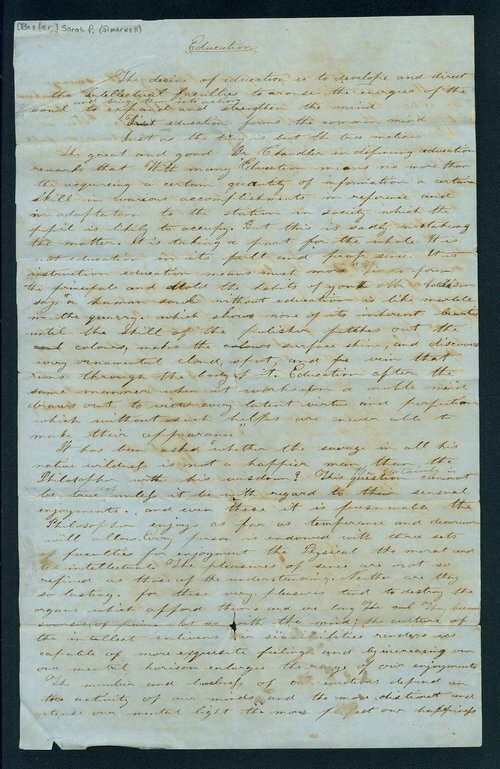 In this letter, Sarah P. Simerwell, wife of Robert W. Simerwell, discusses her thoughts on the importance of education. In fact, she argues that education allows one to prosper throughout their life, regardless of their background. Most importantly, Simerwell includes her thoughts on the differences between the philosopher and the savage in order to reinforce her belief in the primacy of education. People - Notable Kansans - Simerwell, Sarah P.